Ángeles Gabaldón was born in Seville and began formally studying dance when she was ten years old, eventually earning degrees in Spanish dance and classical ballet from the Seville Dance Conservatory. In Seville and Madrid she received instruction from the likes of masters such as Matilde Coral, Manolo Marín, Ziro, El Mimbre, Milagros Mengíbar, Manolete, Javier Latorre, Merche Esmeralda, Ana María Bueno, Eva Yerbabuena, Juana Amaya, Javier Cruz, Alejandro Granados and Belén Maya. She has danced across five continents, participating in major national and international programmes such as the Flamenco Bienal de Sevilla, Festival Jerez, Mercat de las Flors (Barcelona), Bienale de la Danse de Lyon or Tanzmesse nrw (Düsseldorf), besides performing at remarkable places such as the Metropolitan of New York, Teatro Maestranza (Seville) among others. She has a notable career as a teacher, in Spain where she was guest professor at the Barcelona Theatre Institute in 2005, as well as abroad at festivals and dance schools in Japan, Mexico, France, Germany, Austria, Poland, Switzerland, Australia and Turkey. During her brilliant career as an artist she has won numerous awards, including the Perla de Cádiz National First prize for Best Alegrías Choreography and the El Desplante 2002 National First Prize of the Cante de las Minas International Festival in La Unión. 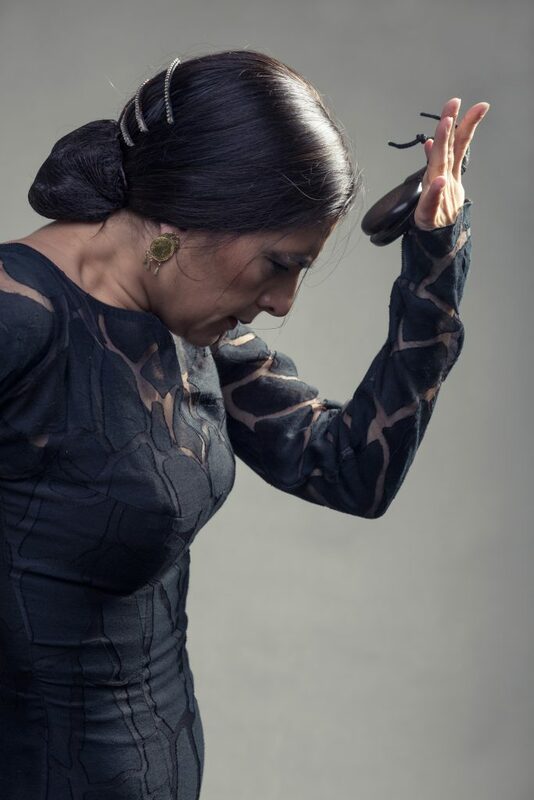 She has twice been the only woman finalist at the Seville´s Bienal de Flamenco and with her first show, “Inmigración”, was awarded the Flamenco Hoy Critics Choice Prize for Best Show and Best Company. In her dance Ángeles joins flamenco’s most characteristic feelings and passion with the elegance and subtlety of classical Spanish ballet in a simple and natural way, combining strength and temperance with elements from other genres such as contemporary dance, making her performances a true crucible of artistic expression.